Grilled field mushrooms with dolcelatte - home cooked food delivered. A vegetarian favourite, but also a fantastic dinner party starter. Fat, firm field mushrooms grilled to perfection and stuffed with parmesan, dolcelatte, cream and more, these will satisfy vegetarians and meat-eaters alike with their rich flavours and contrasting textures. Mushrooms, extra virgin olive oil, garlic, lemon juice and rind, fresh breadcrumbs (GLUTEN), seasoning, dolcelatte (MILK), double cream, parmesan, flat leaf parsley. Remove from packaging. 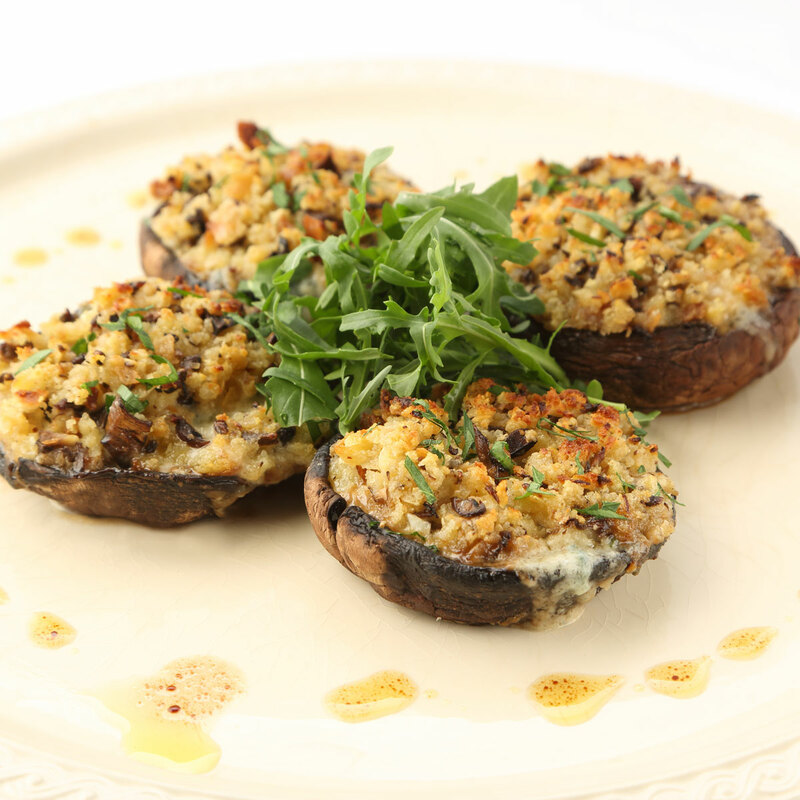 Pour over one tablespoon of cream on each mushroom, place on a baking tray and bake in a preheated oven for 10-12 mins. Ensure product is piping hot before serving. Keep refrigerated, use within 3 days do not freeze.